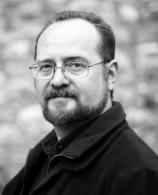 If you have missed out on Scottish author Stuart MacBride's Logan McRae books, you are in for a treat. The 11th installment in the series, which is set in Scotland and has received much acclaim overseas, is now available in the US. The best thing about this lengthy work is that you may freely jump right in without having read the previous entries. Of course, the Scottish dialect will call for some slight adjustment, especially for those who have only enjoyed mysteries or thrillers featuring characters exclusively from Great Britain. The opening of the story immediately draws you in. A man named Duncan is driving a car quite erratically. While it may appear that he is drunk, the truth is that he has sustained a serious bleeding stab wound in his side --- and it will shortly take his life. Once the local authorities arrive and discover the wrecked vehicle and now deceased driver, we learn of his identity --- Detective Inspector Duncan Bell --- but that's not the most interesting find at this fresh crime scene. What stuns his colleagues into silence is that Bell supposedly committed suicide two years prior to this incident and had perpetrated an ingenious exit. Not only did he make it appear that he killed himself, he set the car he was in on fire. "Stuart MacBride does not pull punches and knows just when the right time is for an interesting nickname or slight bit of levity to punch through the dark subject matter. His writing...reminds me of a Scottish version of George Pelecanos or Dennis Lehane." News of Bell's reappearance and “second” death reaches Logan, who had been a colleague of Bell and only recently was promoted to the Professional Standards ranks. Professional Standards is the equivalent of Internal Affairs in domestic law enforcement. This means that Logan, who does not always do things by the book as a DI, is now being held to a different standard. However, he lands the Bell case because it is not only a murder investigation, but technically one involving a fellow police employee. Logan and his colleagues --- including his mate, Rennie, who provides some much-needed comic relief in this dark tale --- wonder why Bell would fake his own death and what he had been doing for the past two years. Logically, the best place to start would be with Bell's former partner, DI Lorna Chalmers. Chalmers is quite rough around the edges, and not all warm and fuzzy with Logan, especially with his new badge from Professional Standards. It doesn't matter the country in which the tale is set; there is a law enforcement code that is universal, part of which dictates that you never rat out your fellow officers, let alone former partners. Ironically, the last case Bell and Chalmers worked on together involved a child abduction that was never solved. The coincidence comes from the fact that the local P.D. is taking a battering from the press and the public because a three-year-old girl named Ellie Morton is missing and feared to have been kidnapped. Most people are aware that the likelihood of finding an abducted child after 48 hours is rather slim. Ellie has been gone far longer than that, and the demanding public has taken to active protests outside area police stations. Pressure is firmly on Logan from his leaders at Professional Standards to get to the bottom of the Bell situation as every indication now shows that he may have gone underground to take down the “bad guys” behind the child abductions, which eventually cost him his life. What I love about these novels is how real-world they are. Logan is not blessed with Sherlock Holmes-like cunning, and all the right clues don't come his way just because he's diligent at his job. Sometimes, no matter how hard you try or how skilled you are, things just don't work out the way you would like. When Chalmers is found dead shortly after the Bell case is opened, it appears to be another police suicide. Logan digs deeper and, with the help of his partners in forensics, turns up evidence to support that Chalmers had not taken her own life but rather had been tortured and murdered. We now have more questions to add to Logan’s list: Who was suspect Fred Marshall, and why does it look like Bell and Chalmers continued to pursue him? What did they learn that marked them for death? How does all of this link to the abducted children? The problem for Logan is that, as he eventually gets answers to each of these questions, he puts himself closer and closer to the same bad end that befell Bell and Chalmers. It looks more and more like there is some sort of child trafficking ring at hand, and there may be some very powerful and influential people involved in it who would make even the life of a Professional Standards employee expendable. Stuart MacBride does not pull punches and knows just when the right time is for an interesting nickname or slight bit of levity to punch through the dark subject matter. His writing is raw and gritty, and reminds me of a Scottish version of George Pelecanos or Dennis Lehane. 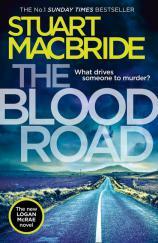 THE BLOOD ROAD does not disappoint, and I urge those who have never read a MacBride book to pick this one up and give it a go.